What at trip down memory lane! 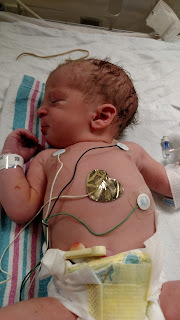 Your birth story is beautiful. I will always treasure those days we all spent together, praying and waiting for our Mavy J and Tuck Tuck!!!! Wow, what a story! So well written. My twin birth was intense and emotional too, but in almost the completely opposite way (Water BURST 7 weeks early while I was sleeping. 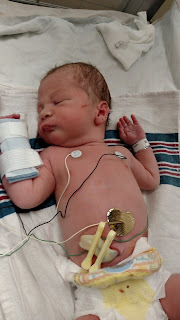 12 hour unstoppable labor. Vaginally delivered) But the end result the same. Two sweet boys that just turned one. God is good! Loved reading this! My story was crazy and emotional too but we got two beautiful boys out of it! Way to go mama!